I was shocked to learn that there actually is! 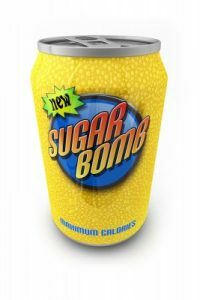 Several years back the World Health Organization (WHO), after much debate, made the recommendation that sugar should not be more than 10% of total caloric intake. When the United States was informed of their intention to publish this recommendation, the United States Congress demanded that this information not be released to the public. In fact, the World health Organization would not relent until Congress threatened to take away the 401 million dollars that was budgeted for WHO. Sadly WHO backed down, and the recommendation was never published. In the years since, America has become the largest consumer of refined sugar in the world. Obesity and diabetes, in both children and adults, has become epidemic. Interestingly, if you look at the “Nutrition Facts” which are listed on all product packaging — including facts like total calories, carbohydrates, fats, protein, vitamins, and minerals — sugar is the only substance that does not have a percent daily value (DV) listed. With obesity and diabetes sky rocketing across the world, doctors and scientists with the World Health organization have now revised their opinion, and decreased the recommended daily allowance to 5% of total calories. So how may grams does that come out to each day? That comes out to 11 teaspoons of sugar for breakfast. That comes out to 18 teaspoons of sugar for lunch. And all of this sugar is going into the body. Some of it is natural sugar like fructose from the apple, and lactose from the milk, but most of it is refined sugar which is the worst sugar for the body and can only be stored as fat. Now let me ask you this… is this amount of sugar added to your body on a daily basis healthy? Or harmful to your health?